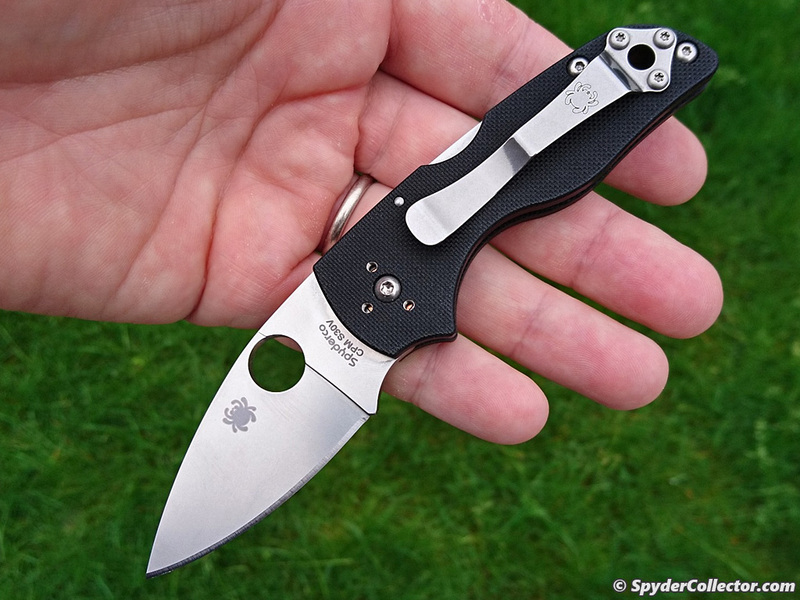 The Spyderco Lil’ Native backlock is probably my favorite knife from the past year, at least from an EDC point-of-view. 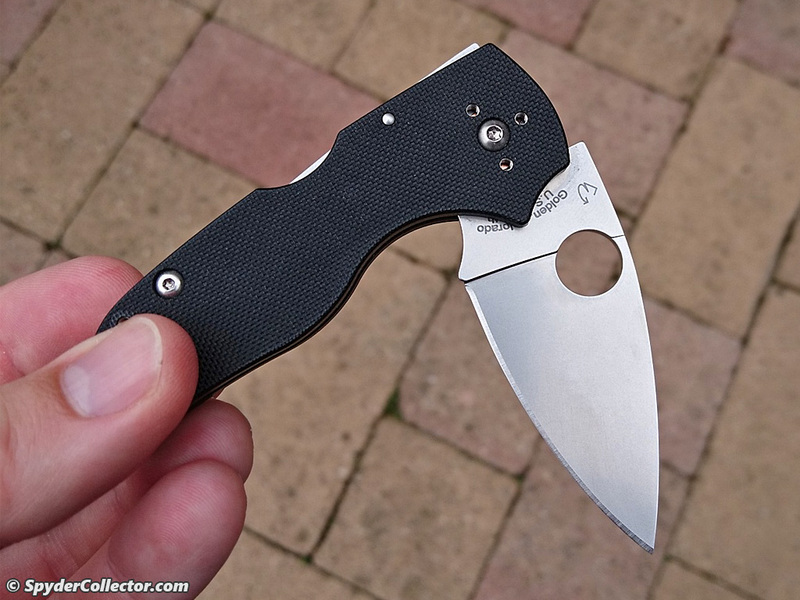 This little folder is very useful, very ergonomic, very cool and very Spyderco in every possible way. The C230 Lil’ Native Backlock is, simply put, a ‘baby’ version of the C41 Native. 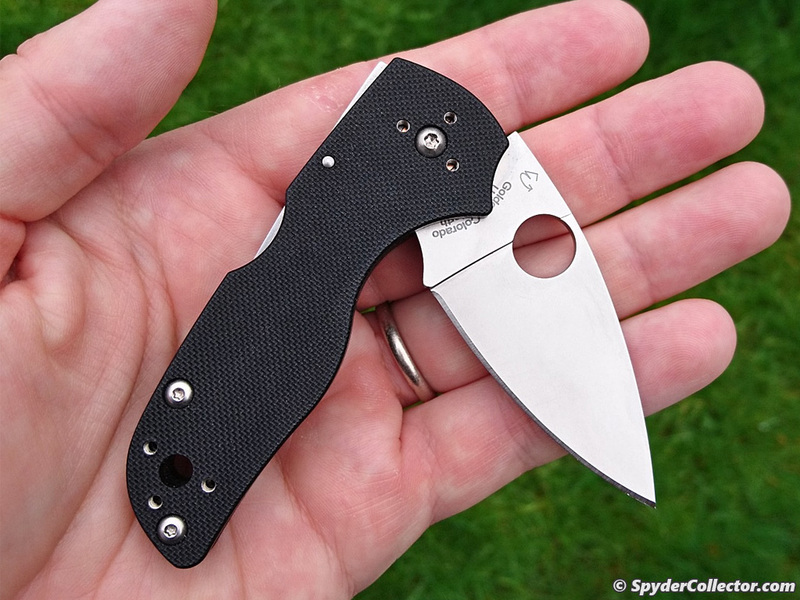 If there’s one thing that Spyderco is really good at, it’s making small folders that perform really well. Just ask anyone who owns a Dragonfly, Ladybug, Meerkat or any of their many other small folders. 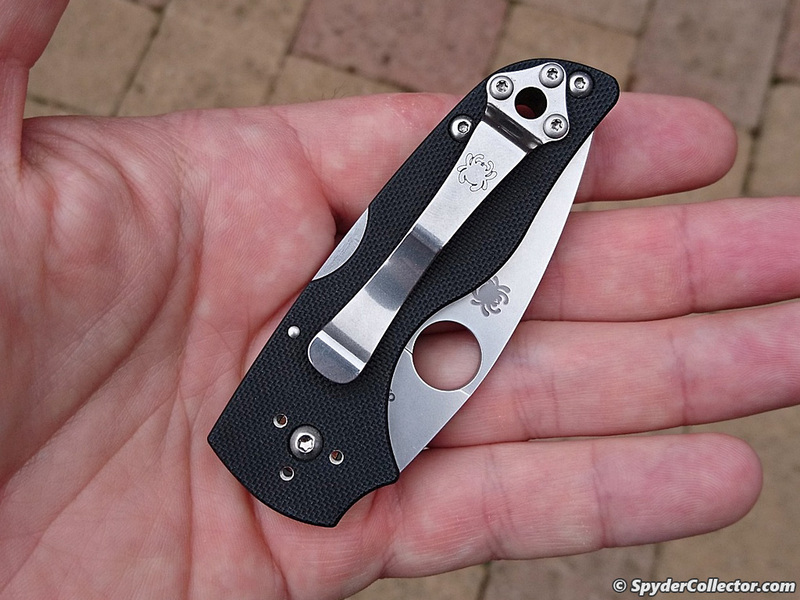 Spyderco sometimes calls their diminutive powerhouses ‘lil’ big knives’. Knives that measure small, but perform big. The Lil’ Native is no exception. The C230 was made in two variants, one with a compression lock and one with a mid-backlock locking mechanism. Being an old fart, I prefer the ‘proper’ backlock version as that is how Native folders have been made since the beginning. The backlock version just feels right to me, for a Native. I’m not sure of the precise backstory of the Lil’ Native’s design. 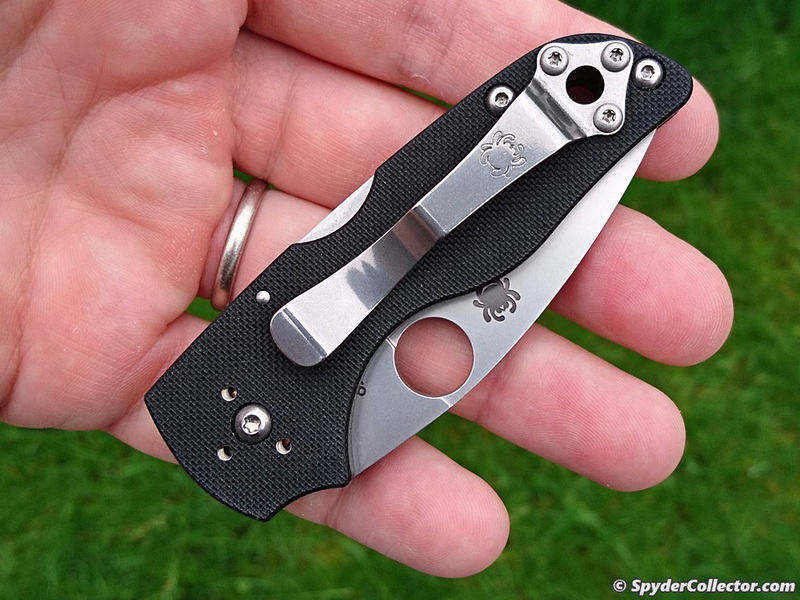 It is likely that Spyderco made the design after customer requests. At the same time the Lil’ Native came out, the larger Shaman came out as well, and I have seen regular requests online to make a larger Native. Both offered size variants of the venerable C41 Native. Why would one want a smaller Native? For one thing, it’s a great ergonomic and functional design, and a smaller version is easier to use in public among non-knife people. Also, if you pay close attention to how much edge you actually use in daily cutting tasks, you’ll notice it’s deceptively little. Living in a modern urban environment, most of your cutting tasks can be accomplished with a 2,5 inch blade. If that’s all you use, then a more compact knife makes sense. 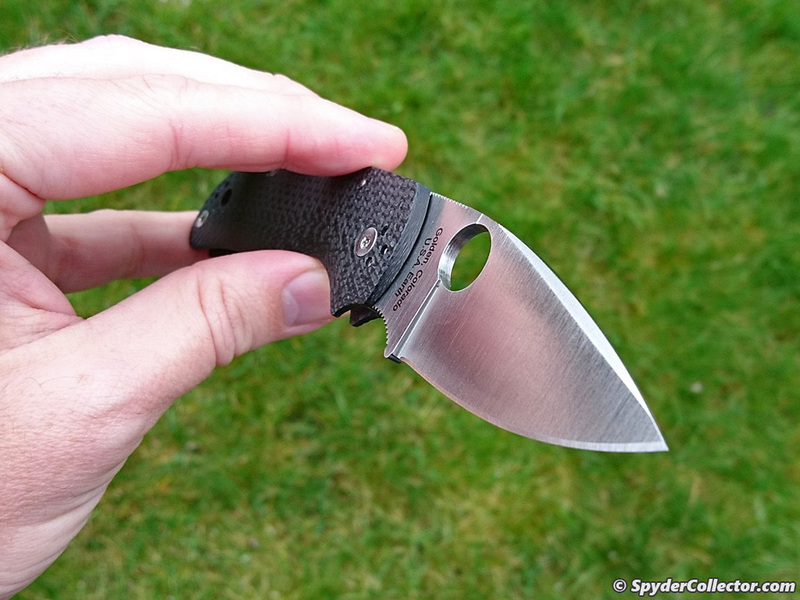 The fit and finish on the knife are superb, but that’s not a surprise considering my experience with the Native 5. One new feature I like in the Lil’ Native, compared to my older G10 Native 5, is the lack of liners. 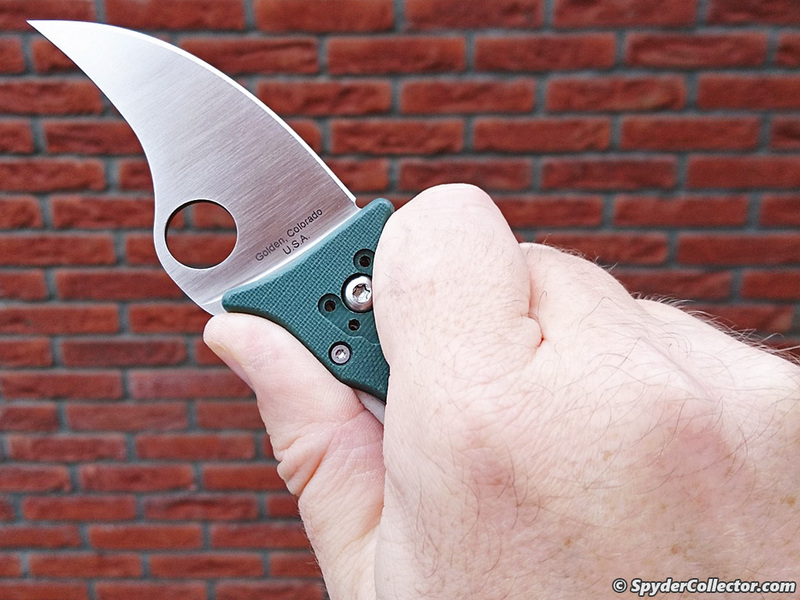 The Lil’ Native is a thick and stout little knife, but it’s also very lightweight thanks to that linerless construction. At first glance, I was a bit disappointed with the stonewash finish. I usually prefer a regular satin finish. The eye wants something as well, as we say in Dutch. Although the Lil’ Native is only 15% smaller than the regular Native 5, it looks a lot smaller. In the hand, the grip is very similar to the Native 5. The Lil’ Native doesn’t feel small at all. Using the knife to break down cardboard was a joy. The thick blade and ‘lock in’ handle ergonomics make it easy to just stab in a big box and slice down. I also used the little folder in my garden, pruning some plants and bushes. The handle makes holding onto the knife while push cutting through some tough branches very easy. I guess that full flat grind blade helps as well ;-). Some might say that such a thick blade isn’t necessary in a design this small. That may be, but that’s also missing the point of the Lil’ Native. 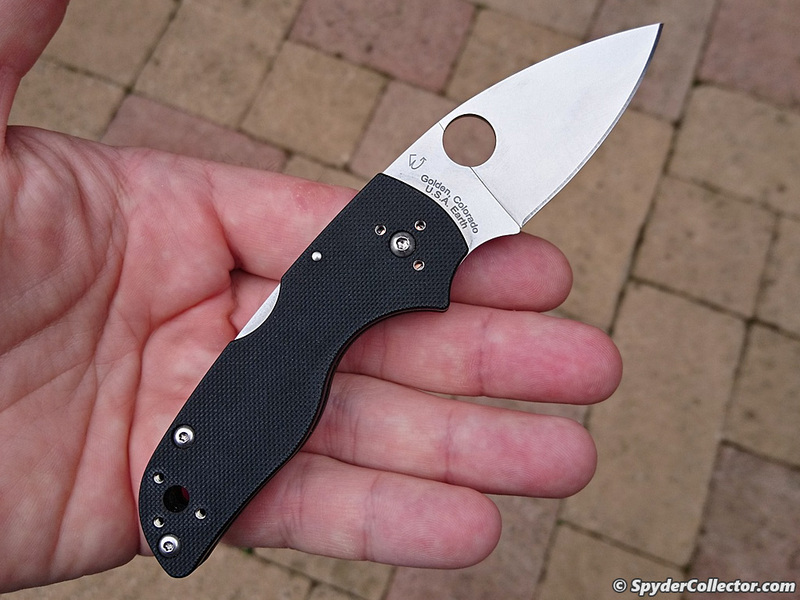 Spyderco doesn’t refer to it as a lil’ big knife for nothing. 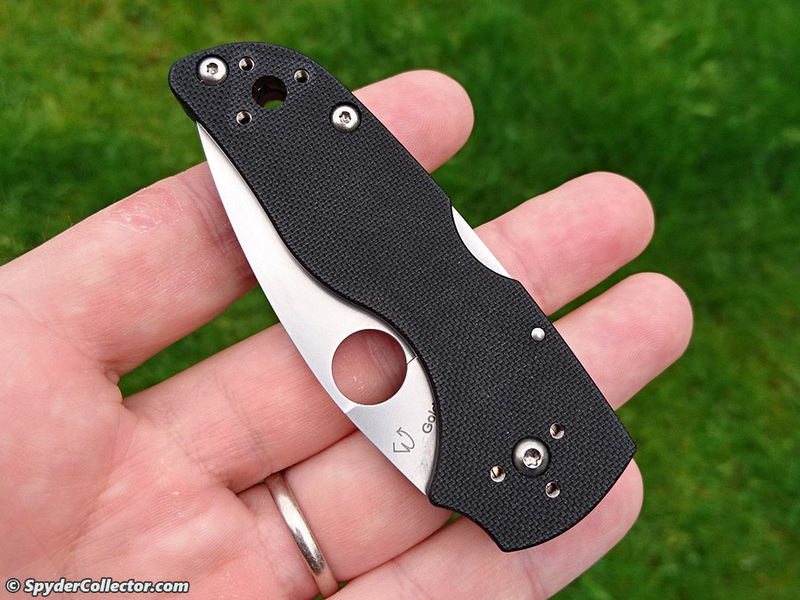 The Lil’ Native’s blade is thicker than a Chaparral for sure, but it’s no Medford-type brick either. Not by a long shot. The blade thickness is the same as the regular Native 5, that’s all. And this smaller folder really does cut like a much bigger knife. 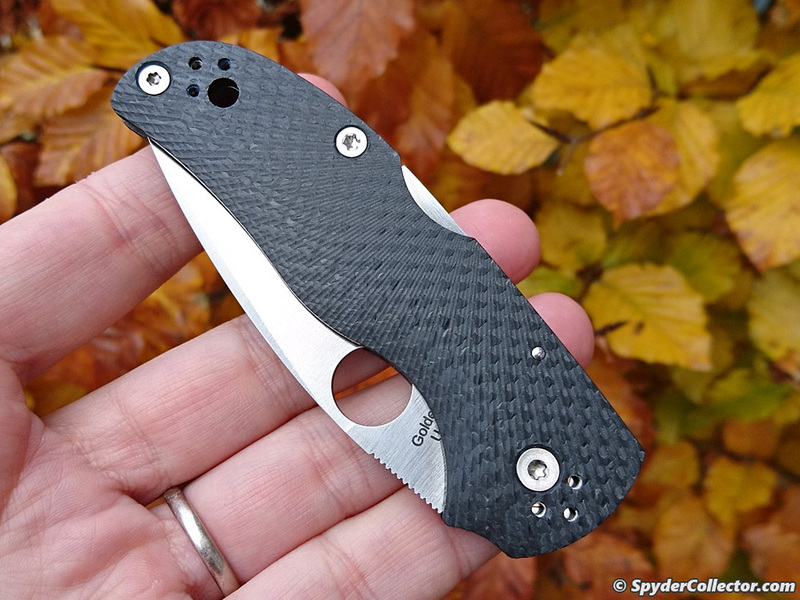 The S35V steel is a familiar performer. It’s a solid middle-of-the-road steel for me. It cuts long enough to impress most, and it sharpens easily on a Sharpmaker. It also doesn’t rust. The past few months, boxes, zip ties, flowers, envelopes, fruit, and loose strings could not escape the edge of the Lil’ Native – it’s a very fun knife to use. I might pay attention to the tip of my Caly 3.5 or Chaparral, but not so with the Lil’ Native. It’s a very confidence inspiring little folder. I’m tempted to share one with my cop friend, who has a genuine talent to really mess up any knife he gets his hands on. The stonewash finish on the blade is fine for a working knife, but I’d prefer to see a regular satin finish on the blade. Also, the clip could’ve been finished more ‘upscale’ if it were up to me. And I certainly wouldn’t mind a few more color options than just basic black, but that’s just me. 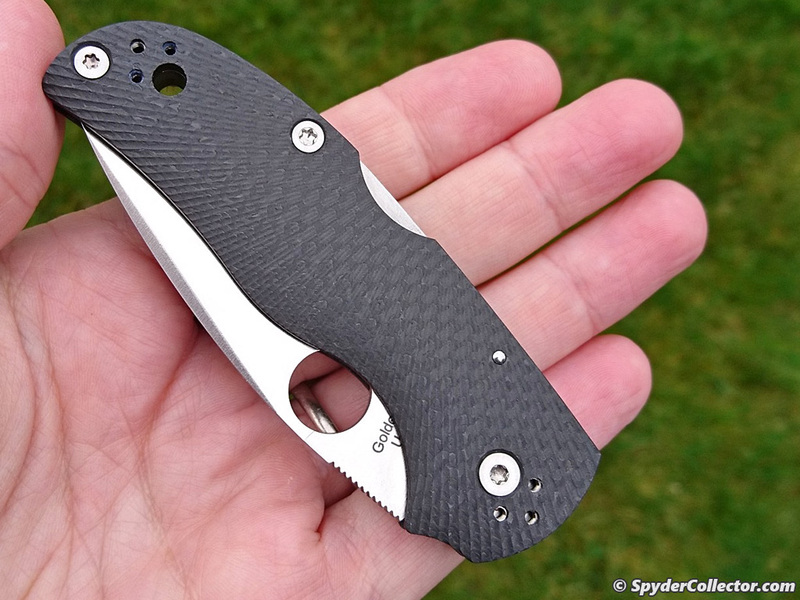 If the Lil’ Native Backlock would become available in a nice S110V version with that blurple G10, I’m down for one or two. 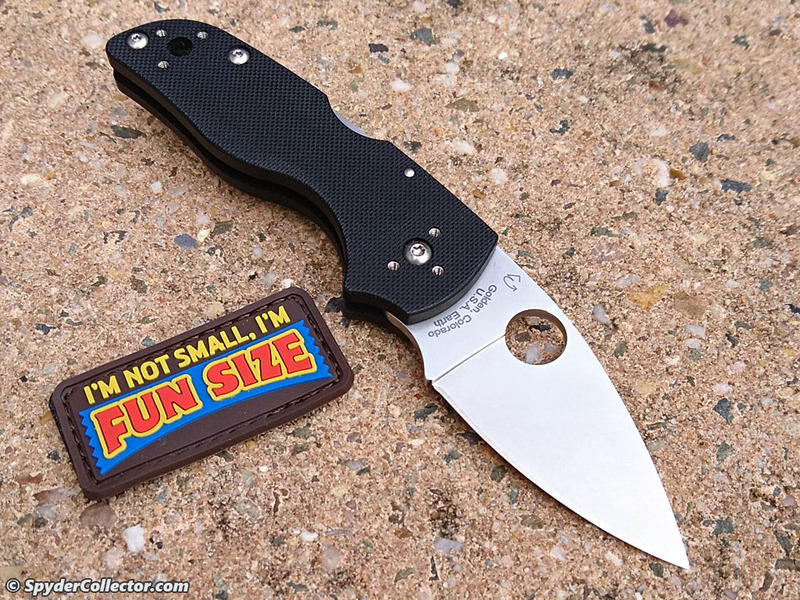 Then I’ll pass along this boring black G-10 version along to my cop friend and see how these stout lil’ folders really hold up! This is a superb folder, period. I feel it’s not so much a ‘mini-native’, but more like a ‘mini-lil’ temperance’. I’m pretty sure this backlock variation won’t last long, since the market usually prefers a new lock design over something as ‘old’ as the backlock. 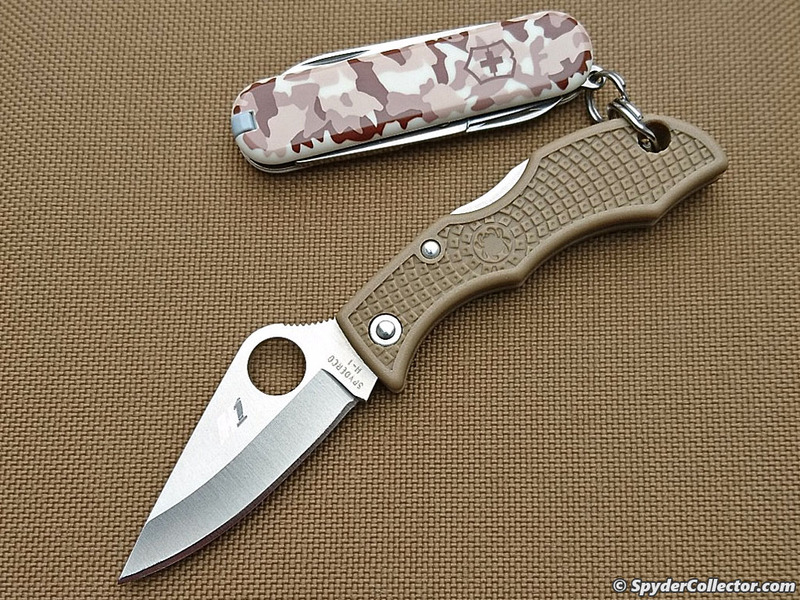 But the lock certainly is not obsolete, and neither are the Spyderco native pattern of folding knives. With variations like these coming out, it’s proof that many people still love this proven design. If you’re eyeing the Lil’ Native with a backlock, I wouldn’t wait too long. 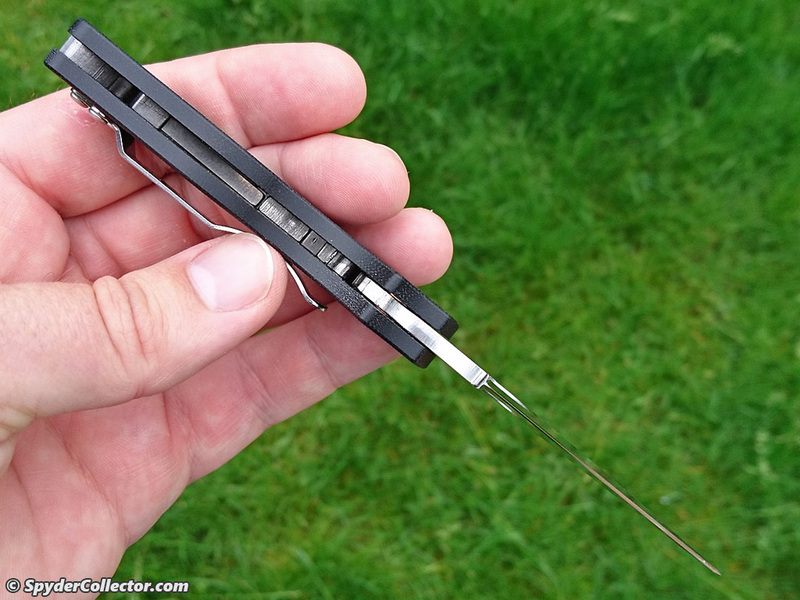 Does any knife ‘aficionado’ still consider backlocks when buying a new folding knife? There doesn’t seem to be much interest in them, on social media at least. Sure, I understand it. The old venerable backlock can’t compete with the current wide variety of newer and stronger locks. Many modern lock offer more strength, comfortable unlocking, wow-factor and more. However, most cannot easily be unlocked one-handed, with gloves. The backlock might not be the newest, strongest or easiest to operate, but it’s still the ticket for when you work a knife with gloves on. Personally, I don’t care much which lock is on my folder. I’ve been using so many over the years that my muscle memory can easily transition between linerlock, backlock, and compression lock etc. Strength is not my main consideration for a lock either. After all, I know how to use a knife and my experience using knives hasn’t shown any need for extreme lock strength. My main concern for locks is that they’re reliable, i.e. not defeated by pocket lint and lock up easily each and every time. Another feature I look for in locks is that they’re ambidextrous, since I’m mostly left-handed. So for me, backlocks work just fine. Another feature of the backlock to consider, is its history. 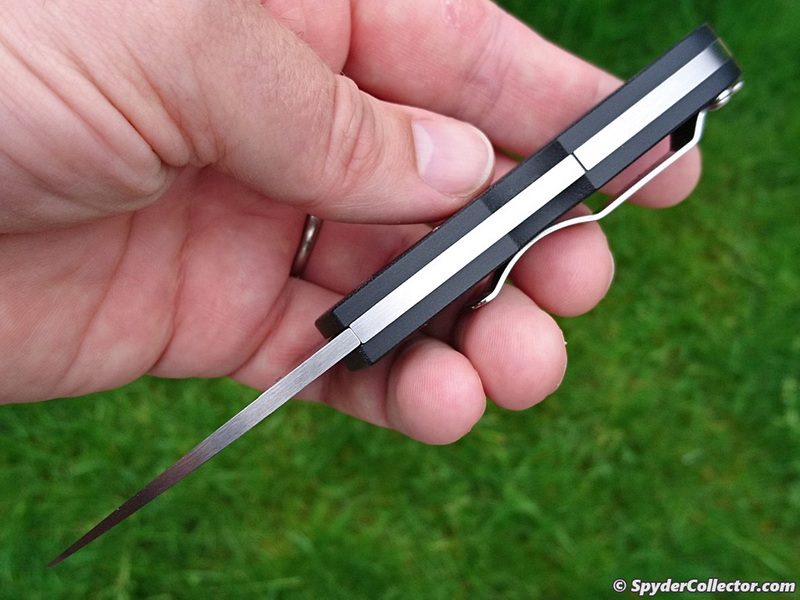 Many quality knifemakers have been making backlocks for a long time. Much longer than most other locks on the market. What’s my point? A backlock from a quality maker is remarkably consistently made. I can still see different levels of lock engagement in linerlocks, integral locks and compression locks. Backlock? 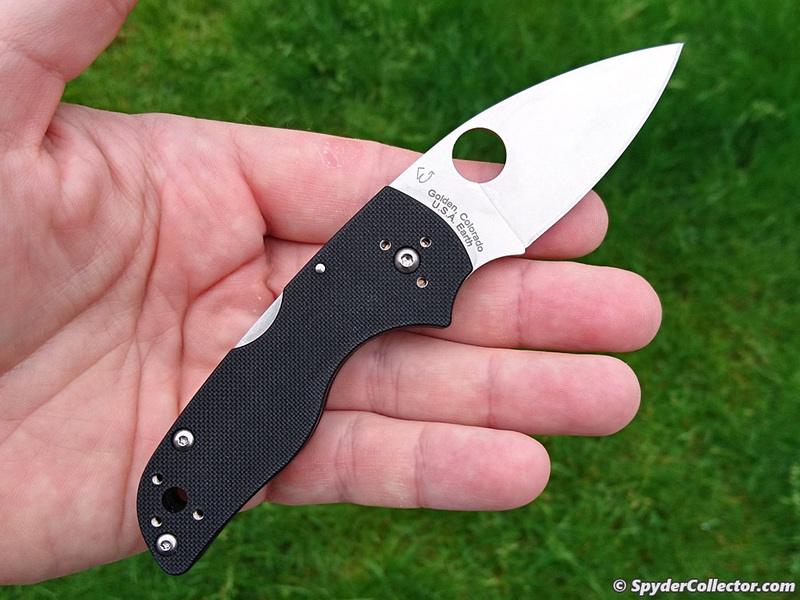 Every single one, from Spyderco at least, locks up great the same way straight from the box. I realize the backlock isn’t the newest or strongest lock on the market today. 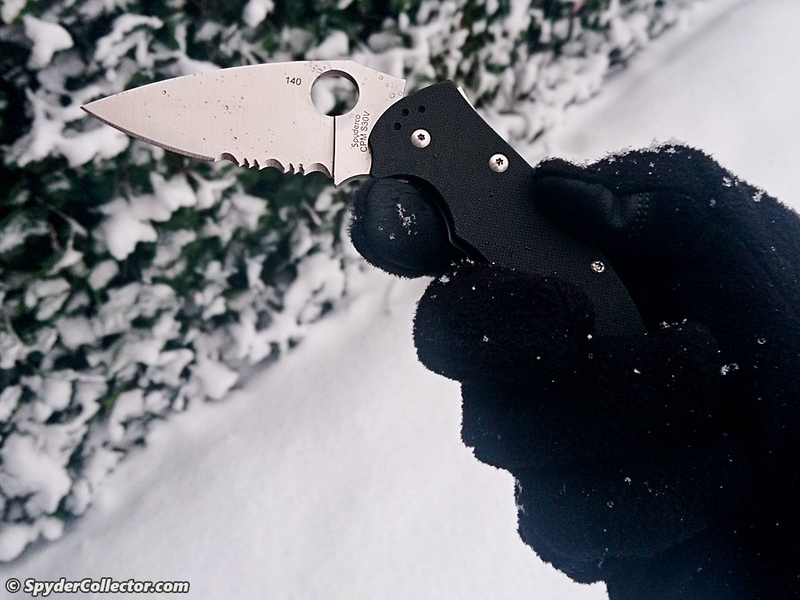 However, they are very reliable, very lefty friendly and … the best lock to operate when wearing gloves. I own this knife for 10 years now, and lo and behold; high-quality slipjoints are back in style these days. 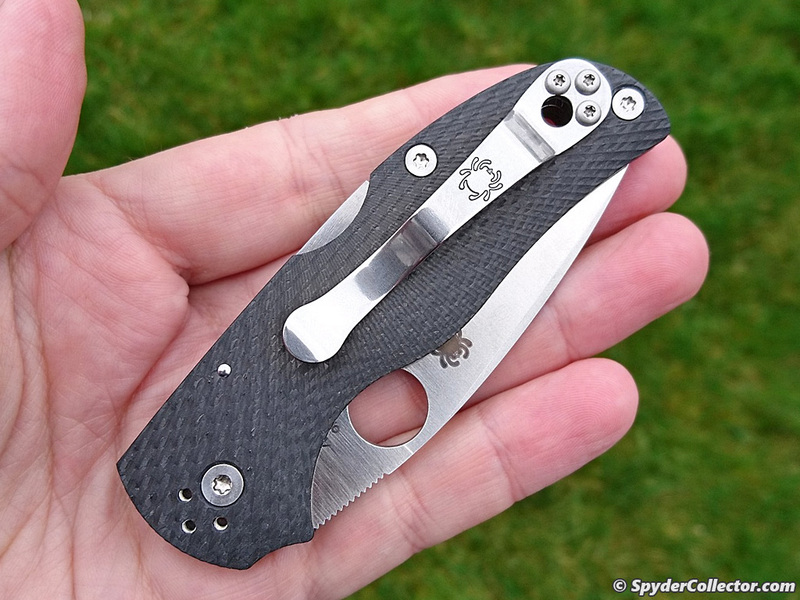 Lionsteel is making them, Chris Reeve Knives is making one and according to my Instagram feed, the genre is also doing very well for custom makers. 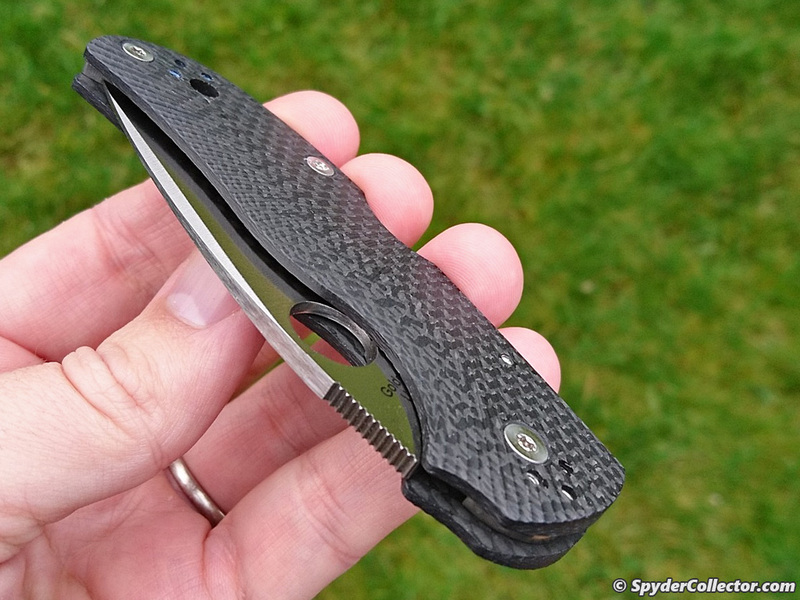 Especially for designs that echo the patterns of yesteryear when a lock on a folding knife didn’t even exist. Why has this design become cool again? 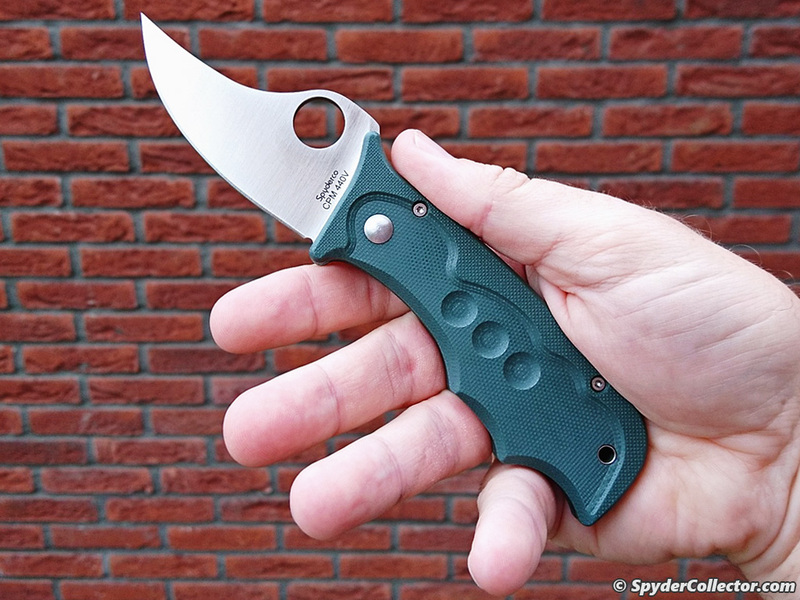 Spyderco developed the UK Penknife in 2004, simply to accommodate their UK customers who were facing new knifelaws limiting the carry of locking folding knives. 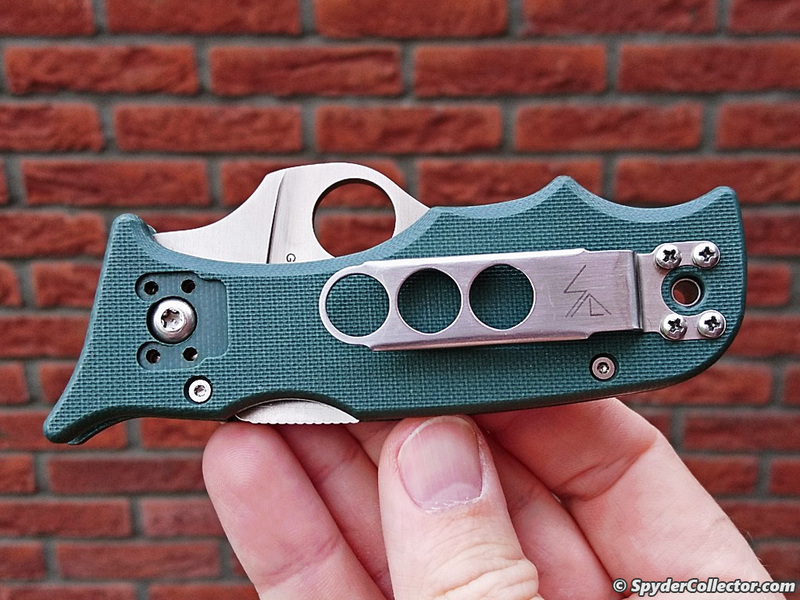 What made this development process especially cool, was that UK forumites helped design this knife. In return, they were offered a special engraved UK Penknife that said ‘UK Penknife design team’. 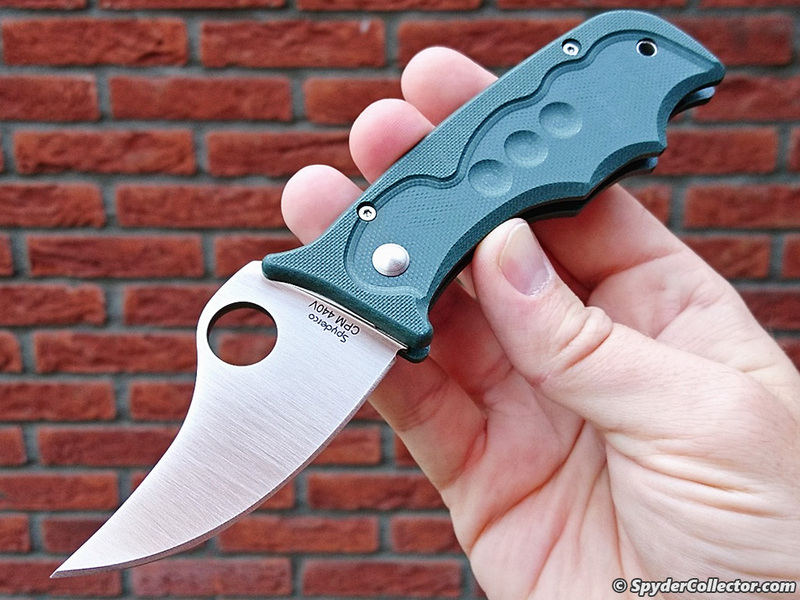 In 2008, the design was slightly refined (opening/closing was smoother) and offered in two blade-types (droppoint and leaf shape), and multiple colors G10 (foliage green and orange). That is when I stepped onto the UKPK train, so to speak. I was pleasantly surprised that this slipit was just as useful as my locking knives. 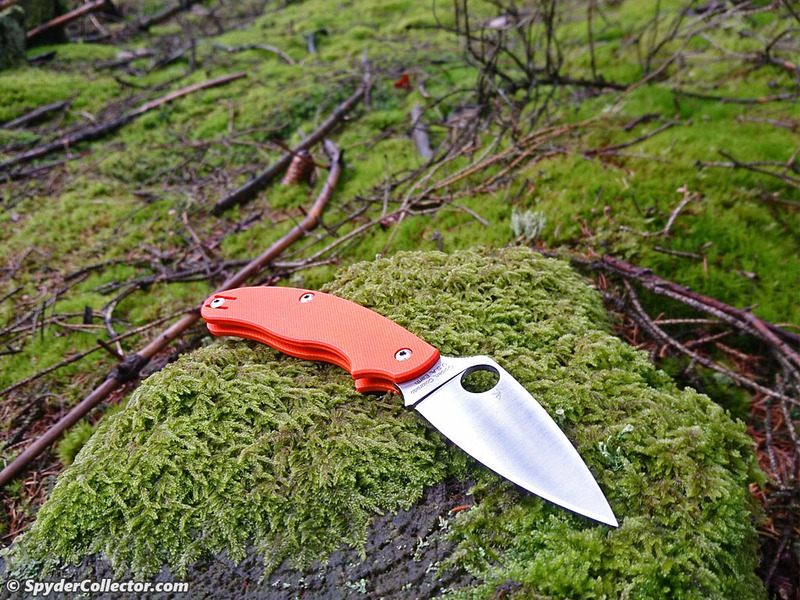 And ever since, I add a Spyderco Slipit to my pocket when I’m traveling to countries with stricter knifelaws, such as on this woodswalk in the forest near Bastogne, Belgium, during last year’s vacation trip. 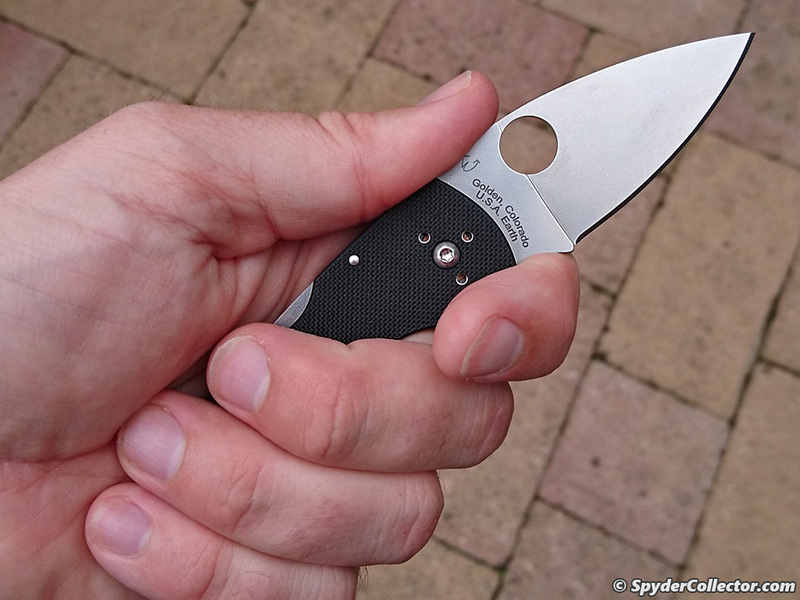 Spyderco has been making slipits in some form since the introduction of the UK Penknife. This year, the slipit design has become en vogue with other brands. Why? Sure, knifelaws haven’t gotten much more relaxed in the world since 2004, but I think it’s something else. I think more and more knifeknuts are discovering that they rarely ‘need’ a lock. To me, it is a special (small) kind of joy to just open, cut and close your knife without having to unlock it. Try a slipit, you’ll be pleasantly surprised. 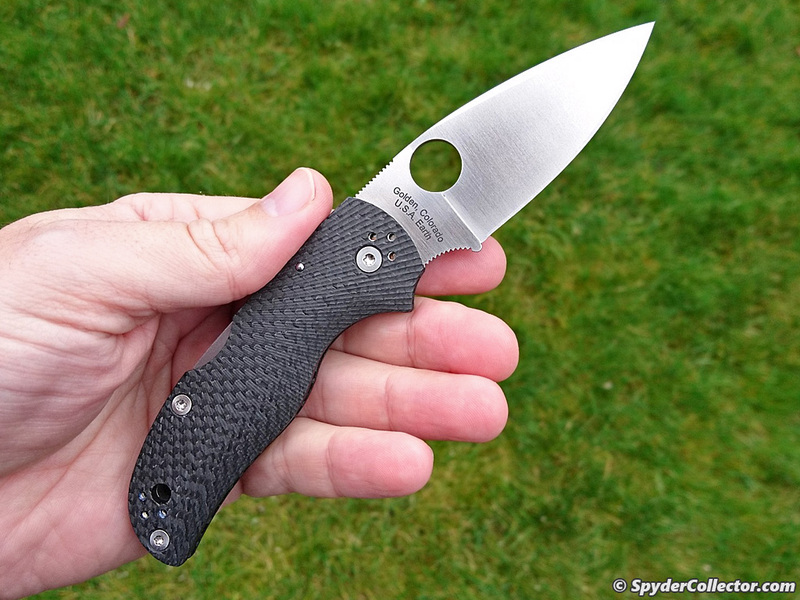 Thank you all for checking out my Spyderco Amsterdam Meet 2018 report! For ease of browsing through all the various new knives, I’ve compiled this thumbnail overview that links to the various posts. I’ve also added this overview to the Prototypes page, where you can find my prototype photos from years past.